1-4 What Have I Done To Deserve This? 2-5 Can You Forgive Her? White hype sticker on box front: "Special Limited Edition Triple CD / features 45 remastered tracks / including: West End girls, It's a sin, What / (...) / Flamboyant. Includes bonus 10 track / remixes CD: Mix. PSB 02"
May come with 'Copy Controlled' round transparent sticker on box front. 1-2: Mix reference missing on album sleeve, however it is mentioned in the booklet. 1-6: Lacks the remix credit in the album notes - version based on the Beastmasters 7" mix however it is not exactly the same. 1-8: Album version appears, although a single mix exists. 1-14: Is an edit of 'US Radio Edit', not mentioned on the release. 1-16: Writer credits are missing. 2-15: Album version appears, although a single mix exists. CD3: No remix credits appear, credits from the first two discs are simply repeated in the insert. Credits here are extracted from version names. 3-3: Mislabeled as 'Shep Pettibone Mix'. 3-6: Mislabeled as 'Danny Tenaglia Classic Paradise Mix'; 'Classic Paradise Mix' is by Love To Infinity, not Tenaglia. 3-7: Labeled as 'Peter Rauhofer New York Mix'. CD1 and CD2 have "Promo only. Not for resale." mentioned on the discs. ℗ 2003 The copyright in this sound recording is owned by PSBP Ltd under exclusive license to EMI Records Ltd. © 2003 PSBP Ltd under exclusive license to EMI Records Ltd. This compilation and sleeve notes © 2003 PSBP Ltd under exclusive license to EMI Records Ltd. Place of manufacture as stated on label. Manufactured and distributed by EMI. Brand new, still sealed. Box has a few minor dents. Registered shipping only. 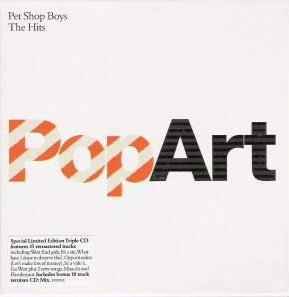 Check my other items for more Pet Shop Boys items.